As I’ve told you before, there are fewer things in life better than a good southern book. Losing myself in a good book is by far, for me, the best way to relax. I am a go-go-go person. Being idle is not in my blood. Being wrapped up in a good book though – well that’s one of the few things that can make me actually sit down for a while. 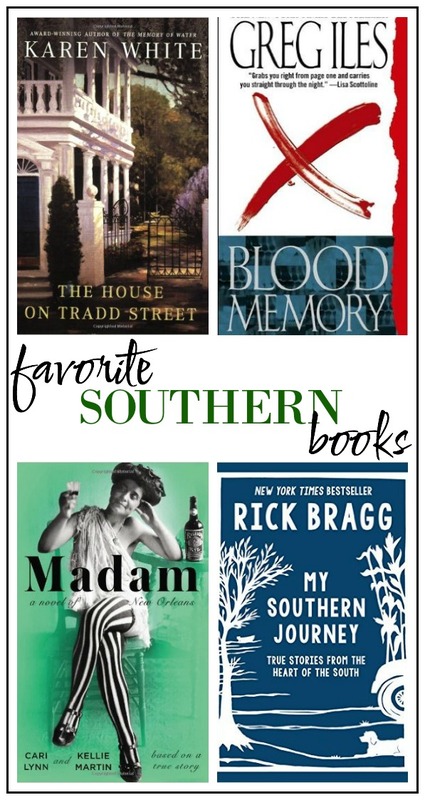 Towards the end of the summer last year, I wrote about some of my favorite southern books. Well, I’ve read more since then and have a whole new list for you. And ya’ll – these are good. I just discovered Karen White and I can’t believe I didn’t find her sooner. I just finished reading The House on Tradd Street and it was amazing. I nearly peed my pants with excitement when I got to the end and discovered that there were three more books in the series. You can bet your bottom dollar that those other three books are already ordered and on their way to me. The House on Tradd Street is set in historic Charleston, South Carolina and centers around Melanie Middleton who can see ghosts. She is a realtor who specializes in selling old homes, but despises old homes. Much to her surprise, an old man whom she barely even knows leaves her his house (a historic Charleston home, hundreds of years old) in his will. The house has a few ghosts with a story to tell – Melanie and her friend, Jack just have to figure it out. Apparently, Karen White also has a new book out, The Forgotten Room, which sounds great as well. It’s not set in the south, but it sounds like it has just as much mystery as the Tradd Street series. 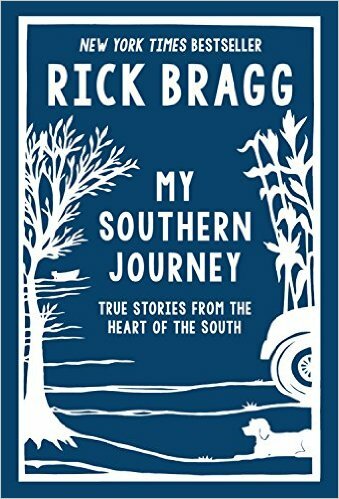 As you guys well know, Rick Bragg is hands-down my favorite southern author. There’s not a soul in this world who can string words together about the south like he can – and I fully intend on telling him that when I meet him next Thursday! Yep, I just said that! He is coming to Chattanooga as part of the South Bound Lectures and I grabbed my ticket as soon as I heard. Ya’ll I cannot wait! Anywho, his new book, My Southern Journey is a collection of his short stories that have been published in Southern Living magazine and other magazines and media outlets during his writing career. I had already read many of the stories in there, but had forgotten about quite a few. No doubt, this book is a keeper. In true Rick Bragg fashion, he can have you belly laughing one minute and squaling like a baby the next. If you’ve never read Rick Bragg before, start with All Over But the Shoutin‘. I’ve also got more of my favorite books by him here. While I have been impatiently awaiting the third book in the Natchez Burning series (A MUST READ!) 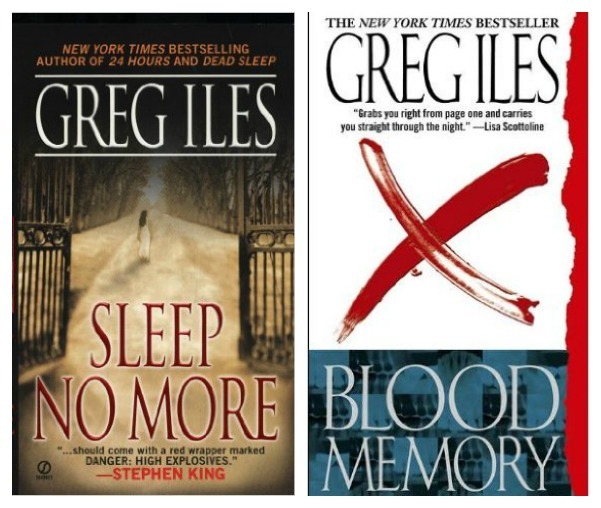 by Greg Iles, I dove into a couple of his other books – Sleep No More and Blood Memory. Both books were thrillers that I just couldn’t put down. Both are set in southern Mississippi (where many of Iles’ books are set) and full of twists and turns that you never see coming. Sleep No More is centered around John who meets a woman who reminds him of an ex-girlfriend who’s been dead for quite a while. Turns out the woman is the ex-girlfriend. Blood Memory centers around Cat who discovers bloody footprints in her childhood bedroom after dropping some chemicals onto the floor. The discovery leads her to revisit the tragedy that occurred during her childhood and discovers that what she’s believed for all these years isn’t actually true. Madam was suggested to me after I posted the first round of my favorite southern books. As many of you may know, New Orleans has my heart and all the history of Storyville and madams intrigues me like nothing else. 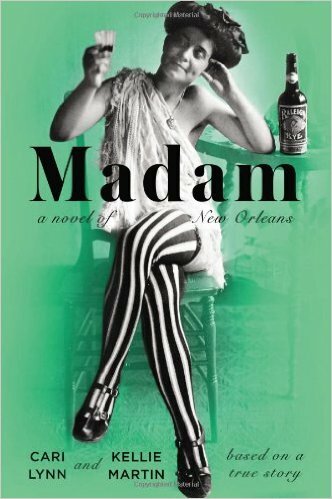 Madam is a fiction book but it is based on Josie Arlington, one of the most successful madams of Storyville. While others may see her as nothing but a whore, I see her as a smart woman who learned how to break through that glass ceiling females are often left hitting long before the term glass ceiling was ever heard of. Madam proves my point. Two other New Orleans books that have been suggested to me are Out of the Easy and Hell or High Water. I haven’t been able to dive into either yet, but both show great promise. 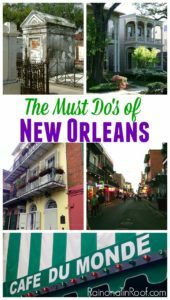 There are more of my favorite NOLA based books here. I checked this book out ten years ago from the public library. I checked it out at least two more times after that and finally bought it for myself a couple years back. Once There Was a Farm doesn’t have any ghosts in it, it isn’t a thriller and there isn’t much drama at all. It’s just a sweet story about a little girl who grew up on a farm and her independent mother who ran the farm by herself. I probably love this book so much because it reminds me of home. There’s no doubt – I’m sure to read it countless more times in my life. I literally just started this book. 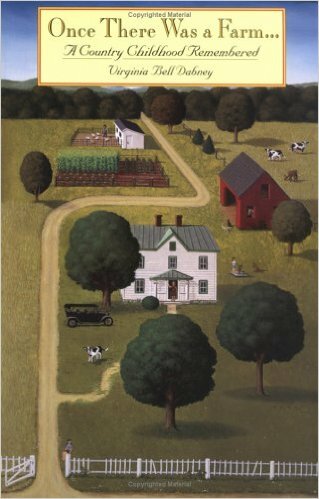 Once more, when I wrote about my favorite southern books there were a ton of you guys who said I must read Pat Conroy. I looked over his work and settled on South of Broad to read first. This one is also set in Charleston. I am literally on like the fifth page, so you can read the summary of this one here if you want to. Alright, as always I want your suggestions! Share your favorite books – southern, not southern, anything goes (although I really LOVE ghosts and witches) in the comments! Help me fill up my Amazon cart – but make sure we have a little money left over for booze, mmkay? Naturally I needed to meet this woman. Bahahahahahaha!!!!! Good lord, this woman is amazing! Have been reading Rick Braggs’ books since you mentioned them in your earlier post. Put the new one on reserve a few days ago. Can’t wait to read it. Lucky you to get to meet him! So glad you started reading Pat Conroy. He is my absolute favorite. The first book I read of his was Beach Music and I was hooked. He makes magic with sentences also. I have read many of Karen White’s book and look forward to the new one. I’m so glad you are reading Rick Bragg, Debra!! He is one of a kind!! 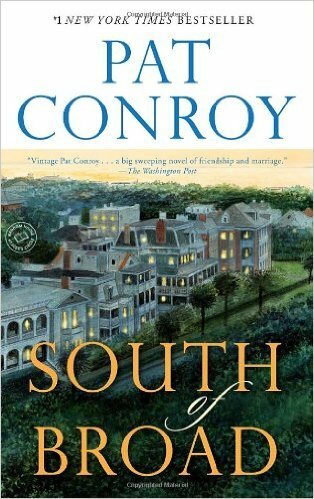 I am really loving Pat Conroy as well – so glad it was suggested! *Adding these to my ever-growing reading list! * I’ve been wanting to read Rick Bragg for a while now, I don’t know why I haven’t gotten around to it yet! I don’t know why you haven’t either, Brigitte!! haha! Maybe it’s because of that really long “to-read” list – I’ve got one of those lists myself! haha! That thing just keeps growing and growing! I’m gonna have to live to be 150 to read them all! I’m a widow that keeps pretty busy, DIYing for myself, my kids and grandkids!!! In my down time, I, too love to read!! I’m just reading the 7th book, in an 8 book series. They are the Bregdon Chroniciles. 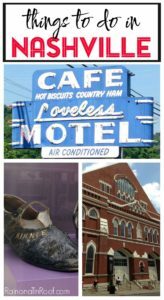 I love the South, also! These books are set in the Civil War period. I highly recommend them. I will be looking for your list next!!!!!! Thanks!!!! Oooo, Sara – those sound great! I love historical fiction books like that! I’ll look into them! Thanks! GIRL… get the house on tradd street on AUDIO!! OMG!! The narrator is AWESOME! Talk about upping the creep factor 🙂 LOVE THESE BOOKS!!! Thanks for the other recommendations!! Seriously?! And there were some times I was creeped out just reading it myself! Dang! Jenna I am so pleased for you that you are getting to meet Rick Bragg. Amazing to meet your idols. Hope he doesn’t dissapoint. Don’t think I dare read ( or hear!) 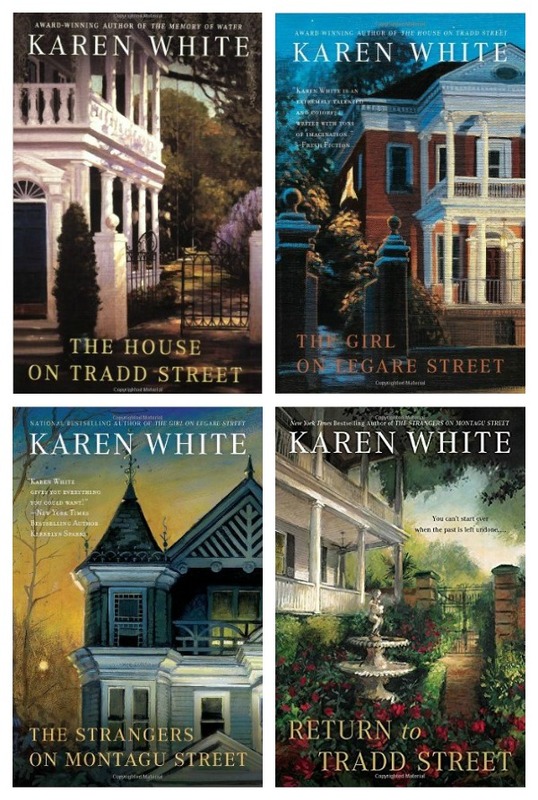 Karen White’s books. I am SO excited about meeting him, Shirley! I’ll probably be so overwhelmed I’ll stumble over all my words. Are you not a ghost book kind of gal? Grunt isn’t either and can’t stand it when I tell him about them when I’m reading them. I had NO idea where to start with Conroy, Kristin!! I should have researched more I guess and started with an earlier book. I will check out Wally Lamb as well!! Thanks so much for the suggestion! In 2014 I had a wonderful trip to The States (Im an Aussie) and absolutely fell in love with New Orleans! Thanks for the recommendations, I’ll be checking out a few of these ???? That is great to hear, Bec!!! New Orleans is my fave! Hi LuWana! Thanks for the Ann Rivers Siddons recommendation – I will check her out now! Pat Conroy’s writing is just amazing. Prince of Tides is next on my list to read, so I’m glad to hear you like it so much! Prince of Tides most beautifully written modern day book ever. Pat Conroy is my favorite author. I’m reading that one right now! If y’all want to read some really good books with a southern edge, read Marsha Moyer’s Lucy Hatch series. It is set in East Texas. Yes, I said Texas, no, we aren’t Louisiana or MIssissippi, but we aren’t north of the Mason/Dixon either. They are really, really good. I read them and lent them to several women I work with and my daughter and they all agreed that they are some of the best books they’ve ever read. And it you can get through the first book without be totally and completely head over heals in love with Ash Ferrell, then there is something wrong with you. Thanks for the suggestion, Rebecca! 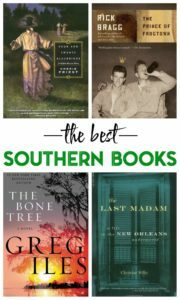 Early From the dance and Ruin Creek by David Payne are two of my favorite pieces of Southern Fiction, check them out! Thanks for the suggestions, Tanisha! I’ll do that! Well this list is pinned forever! You had me at RICK BRAGG! Love everything and anything he writes! Also love Greg Iles, The Help! Two I might suggest are “Burying The Honeysuckle Girls, by Emily Carpenter. A lil spooky and a whole lot good! And “Doll Baby” by Laura Lane McNeil. It’s set in New Orleans! Oh, Lori, I read Doll Baby and it is great! loved it! I’m going to check out the honeysuckle girls one right now though! Thanks for the suggestion! I fell in love with the French Quarter on my honeymoon 44 years ago and every visit after that. My husband has family in LaRose and I fell in love with the bayou too. We had planned to retire from Virginia to NOLA but moved to Austin where our children settled. The food, music, and people of Austin are amazing. Since you love New Orleans, you must read the books by James Lee Burke and there are lots of them! His characters are unforgettable. I found some new books to read on your list and I’m following you now so keep them coming! Yep, NOLA definitely has a piece of my hear too, Lisa! I haven’t ever visited the bayou, but would love to! Thanks so much for those book suggestions, Lisa! I will be sure to check them out!